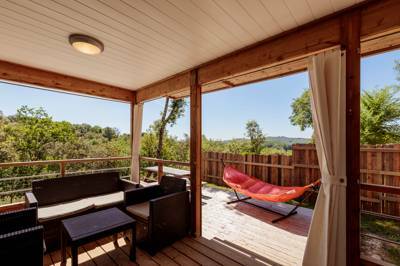 This modern chalet is perfect for families who want a base with home comforts in the Dordogne. With views over the valley and surrounds, the Plein Airs are situated on the periphery of the site away from the main reception, bar, pool and playground. It’s about a 20 second walk to the facilities, close enough to be handy but far enough to feel as if you are out of the main zone. The Plein Airs are nestled together and orientated southward in the direction of the valley. Set perpendicular to the small internal ring-road, they are privately situated with views to the east from a terrace, grassed garden area and parking adjacent. 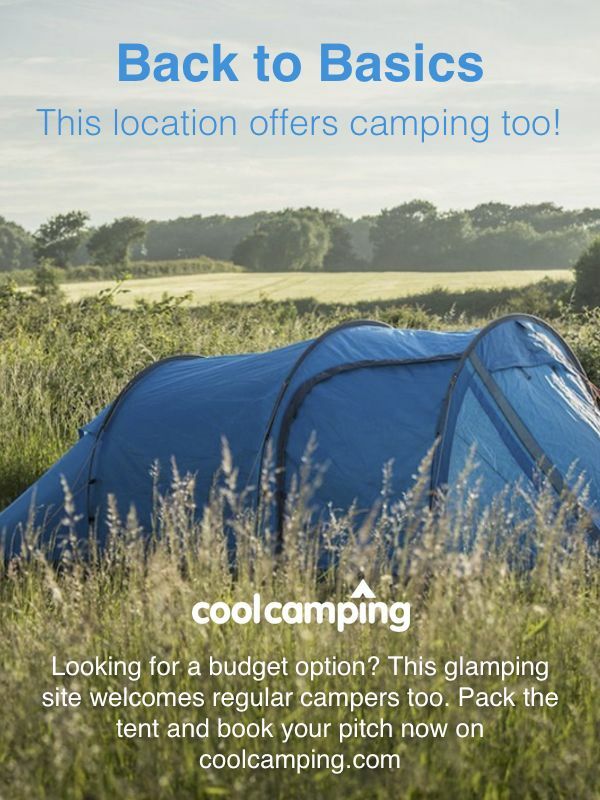 Glamping has never been easier! Just turn up and unpack. No need to share facilities as each chalet has its own bathroom, toilet and kitchen. Second bedroom with a bunk bed (2 x singles) plus a trundle pull-out bed under (80cm x 200cm). There is a large family shower room and separate WC. Both bedrooms are large enough to accommodate a baby cot if necessary. Fenced in gardens, covered terraces, barbecues and outdoor decking and seating. Each chalet also has a luxurious family-sized Fatboy hammock. Pillows (square) and blankets are provided. Bring your own linen and towels or hire ours.